Here are 6 simple ways to preserve your summer fruits and vegetables without the hassle of canning. It may not feel like it on sweltering 95 degree days, but summer eventually comes to an end. Sadly, that also means that the days for juicy, deep red tomatoes and sweet plump berries are numbered. Not everyone has the time and space (or patience, for that matter) to can their summer bounty, but with these six simple ideas, you can still enjoy summer well into the blizzard-filled days of February. If you have an abundance of herbs like basil, tarragon or chives, when the weather starts to turn all you have to do is chop them up, pack them into ice cube trays and top them with olive oil. Add the cubes to a sauce for fish or to a winter minestrone. The olive oil will help preserve the flavor and bright green color in the freezer. Pesto is another great way to use up those extra herbs. Once made, pack the pesto into a freezer-safe container and top with a thin layer of olive oil before freezing. Also, no need to stop with herbs: swap in carrot tops, beet greens or even peppers. We love this version that uses roasted poblano peppers and cilantro. Roasted peppers also hold up very well in the freezer and can add instant flavor once thawed. 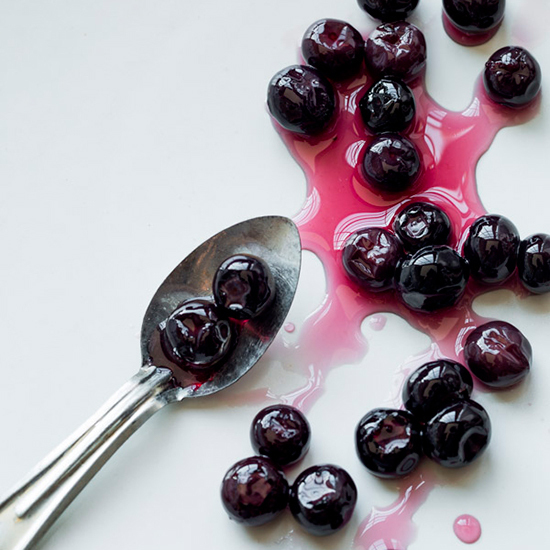 This easy idea from Food52 is the perfect use for the berries, stone fruit or rhubarb that have gone a little too far. In a saucepan, combine equal portions of ripe fruit and white wine vinegar and bring to a boil. Simmer over moderate heat for 1 to 2 minutes, breaking up the fruit with a fork. Let the mixture cool and then transfer to a clean jar. Let sit on your counter at room temperature for 4 to 5 days. Strain the vinegar through a fine mesh sieve set over a clean jar or bottle, pressing on the solids. Store the vinegar in your fridge and use for salad dressings, to finish protein or over ice and topped with seltzer. Also, why stop with fruit? Try this method out with vegetables like carrots and beets in the fall. This Roasted Tomato Sauce recipe from chef Tom Colicchio is simple and well worth the advance effort of roasting your summer tomatoes. We recommend you double or quadruple this one. I promise, you will thank yourself come January. When people think of compote butter, they usually think of savory variations with herbs or spices. However, it’s also a great way to use up that incredibly sweet fruit at the end of the summer. Simply mix softened unsalted butter with overripe fruit (such as blackberries, raspberries or peaches). Season with salt and transfer to a sheet of parchment paper. Using one edge of the paper, form the butter into a log. Roll up like a piece of candy and secure the ends before tossing in the freezer. The butter will have an incredible color and will be delicious spread on muffins, scones or corn bread. Two of our favorite flavor combos are peach with grated ginger and blackberry with minced jalapeño. Quick Guide for Freezing: If you want to just freeze your fruits and vegetables for future use, make sure to freeze them properly. To avoid giant clumps of frozen produce, first line a baking sheet with parchment paper and then freeze everything in a single layer. Once frozen, transfer the fruits and veggies to a freezer-safe ziplock bag.